Join or Renew your NRA membership through the club and you can save $10 on a one year membership or more on longer memberships. Plus your favorite club will receive a donation. We are planning a PA Law Seminar on May 3rd 2018. The seminar will contain information about PA firearm laws, PA carry laws, transportation of firearms and answer questions about shootings inside and outside your place of residence. For those of you that already registered thank you! Cost is $25 per person, If you are interested please send an email to webmaster@ebrg.org. Learn facts about Firearm Safe Handling, Identifying and unloading different firearms, Ammunition knowledge, Storage and Cleaning, participate in safe handling exercises, Overview of our ranges, East Bath range safety briefing. • 2019 Fall Hunter-Trapper Education - The Fall 2019 Hunter Education Class will be held at the clubhouse in August from 8am-4pm. Special Instructions for All Students: Lunch will be provided. Donations are appreciated. Cancellation Policies You must cancel your registration before the course date in March. Age Policy All registrants for this event must be 11 years of age by August, 2019. Overview This is a six-hour training class required by law for all first-time hunters and trappers before they can buy a license. You must pass a certification exam at the end of the class to complete this training. 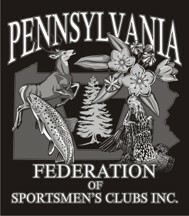 Important In order to prepare for your class, read Chapters 1, 4, 5 and 9 located at Today's Hunter & Trapper in PA. Registration information for the 2019 Fall Hunter Education Session coming soon! 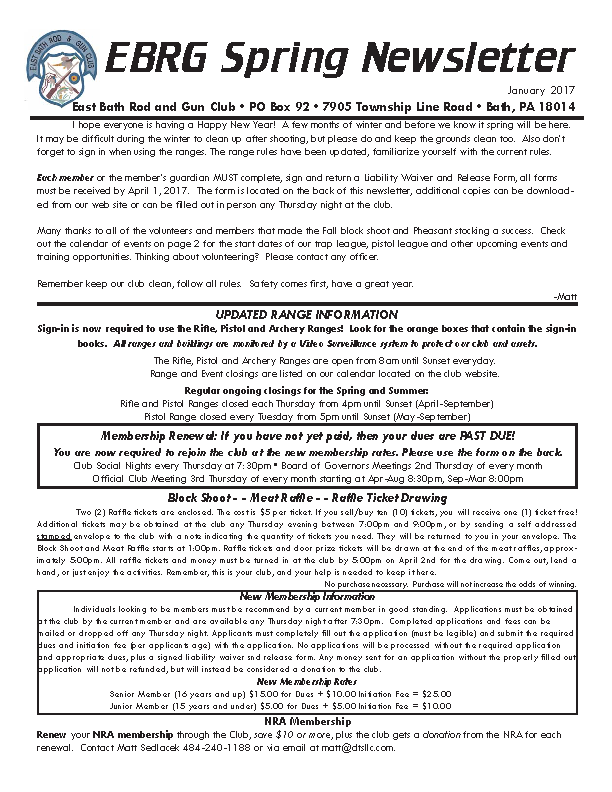 • 2018-2019 Buck Pool - Click here for the Buck Pool results. 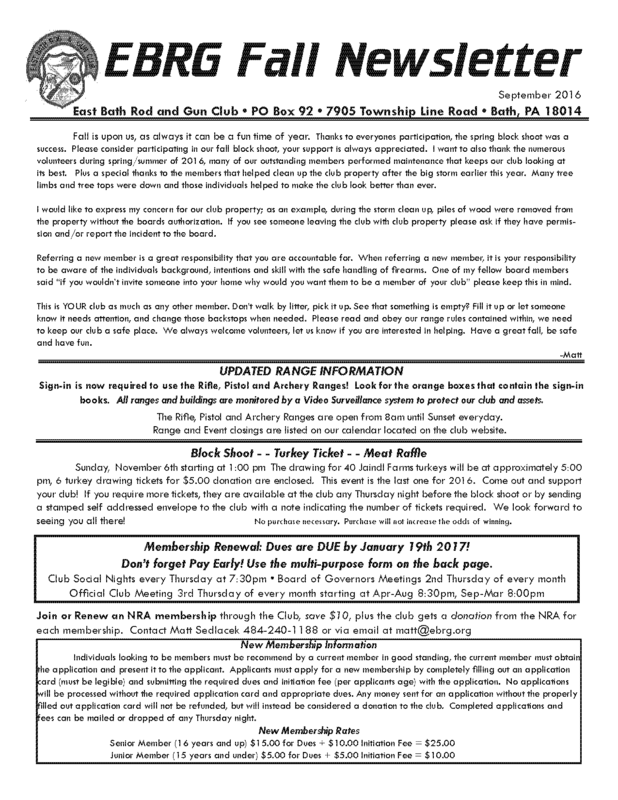 • NRA Membership - The NRA has made all new and renewal membership levels, 1yr, 3yr, 5yr and Life available via our "Join NRA" web link to the right at the correct discount levels for our members. 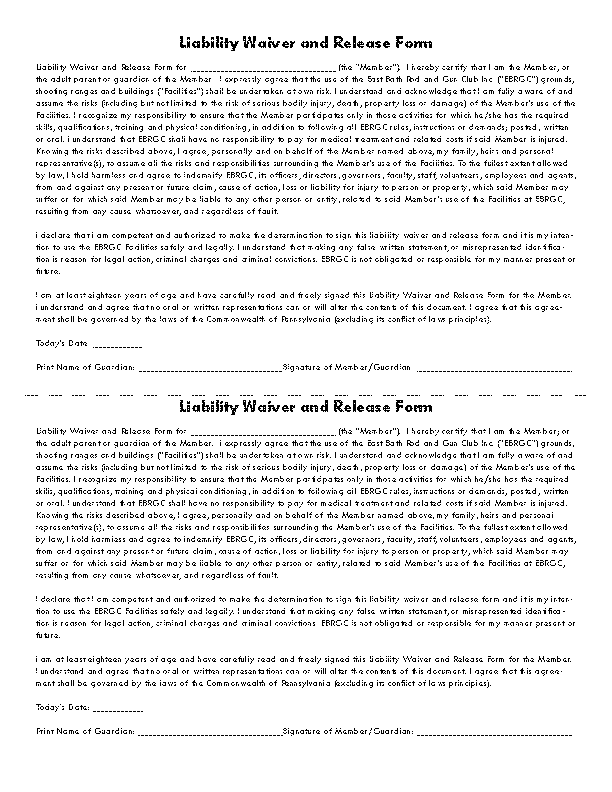 • EBRG Liability Waiver - Each member or the member’s guardian MUST complete, sign and return a Liability Waiver and Release Form. This only needs to be done once and we will keep the form on file. You can download additional forms HERE and from the link to the right, or the form can be filled out in person any Thursday night at the club. • The FORUM is Temporarily closed - The Forum is a place to ask questions and share knowledge, plus list items for sale in the classifieds. We will also publish club information in the Forum. To access the Forum click the link in the menu bar above. • Club T-Shirts and Hats - with the club emblem are now available in the club house.